European Union leaders plan to push for improvements in the way the World Trade Organization operates, saying it is important to uphold the global commercial order amid “growing” tensions prompted by President Donald Trump’s tariffs. EU government chiefs at a June 28-29 meeting will repeat criticism of U.S. metal-import duties that Trump has justified on national-security grounds and express support for the bloc’s retaliatory measures, according to a draft statement prepared for the summit. Planned European tariffs, known as “rebalancing” measures, are due to take effect as soon as this week. The United States’ levies of 25% on steel and 10% on aluminum “cannot be justified on the grounds of national security,” the 28 leaders will say at the Brussels meeting, according to the text dated June 19 and seen by Bloomberg News. The stance highlights EU’s desire to prevent Trump’s protectionist tilt from undermining the global trade order that the United States was instrumental in building after World War II. It comes as China, the EU’s No. 2 trade partner after the United States, fights not only Trump’s metal tariffs but also his vow to hit a slew of other Chinese goods with import duties. The Brussels summit also will lend backing to the EU complaint at WTO against the U.S. steel and aluminum levies and to the European Commission’s evaluation of possible “safeguard” curbs on the bloc’s own metal imports to prevent Europe from being flooded by shipments diverted away from the American market, according to the draft statement. The group of heads of government or state, known as the European Council, “fully supports the rebalancing measures, potential safeguard measures to protect our own markets and the legal proceedings at the WTO,” according to the text. The commission, EU’s executive arm, is due to give final approval any day to an initial retaliatory step centering on a 25% duty on 2.8 billion euros ($3.2 billion) of EU imports of a range of U.S. products including Harley-Davidson Inc. motorcycles, Levi Strauss & Co. jeans and bourbon whiskey. The first-stage plan also includes a separate 10% levy on U.S. playing cards imported into the bloc. 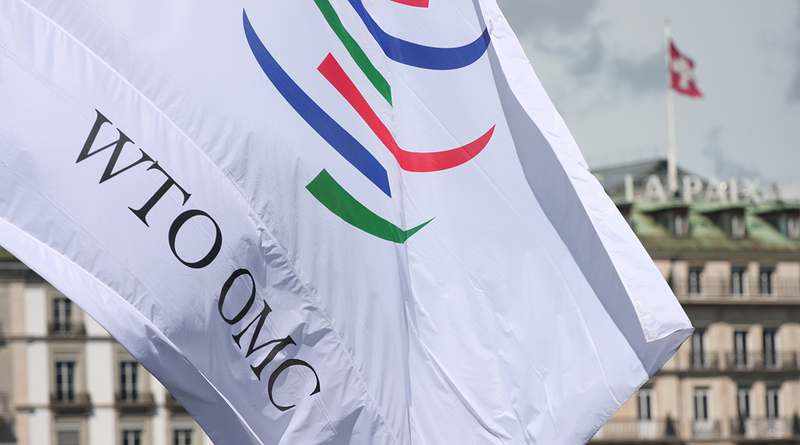 The draft EU summit statement includes a list of areas where WTO could become more effective and asks the commission to take the lead in proposing improvements.